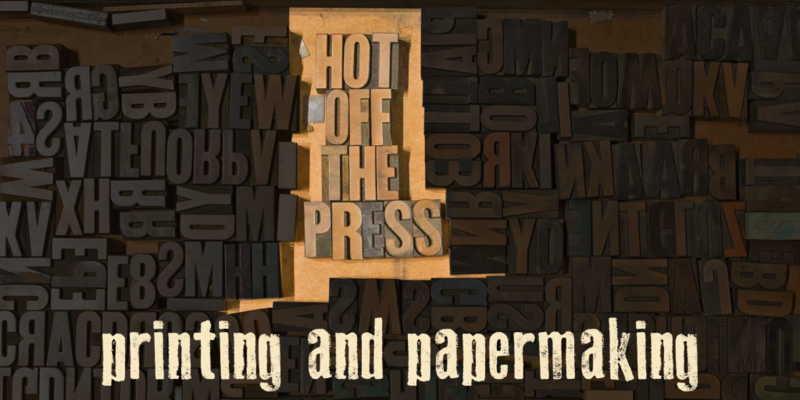 Hot Off the Press: Printing and Papermaking was hands-on look at how the printed word revolutionized the spread of knowledge throughout the world. 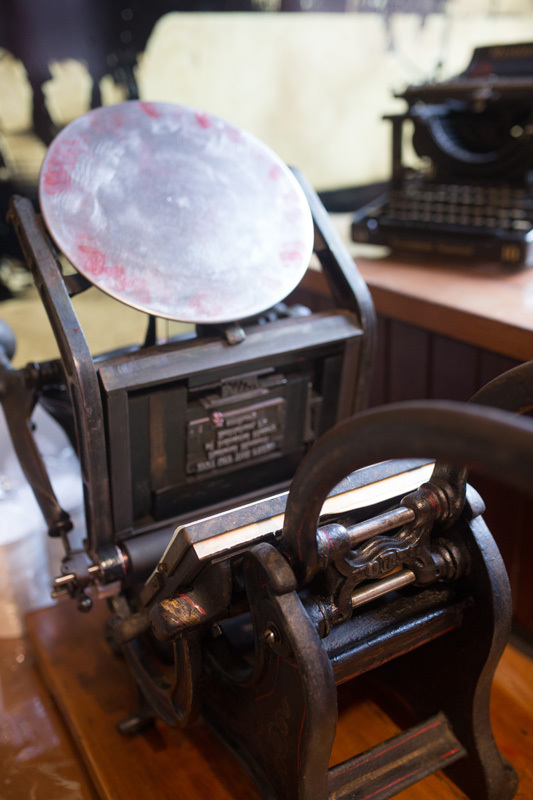 From the Gutenberg press to linotype machines, like those seen in the hit movie The Post, NMIH’s exhibit gave an in-depth and interactive look at how printing presses, paper, and ink were used to spark the most influential industry on the planet. 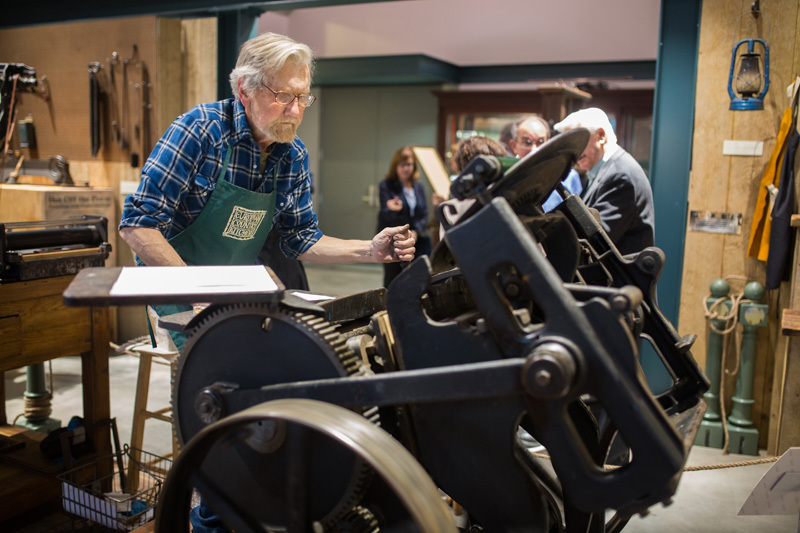 The exhibit included rare printings, including 17th Century translations, the first German-translated Bible printed in the Colonies, and the Ephrata Martyrs’ Mirror, the largest book printed in Colonial America. 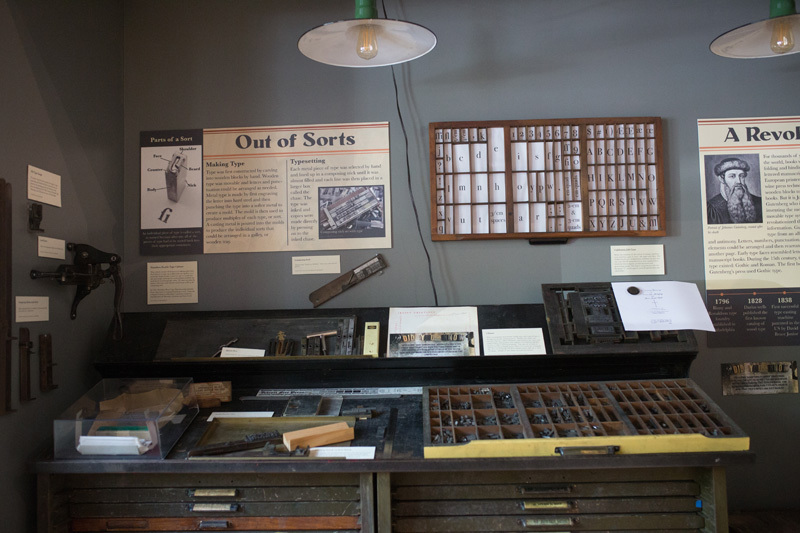 Paired with these texts are working printing presses that visitors were able to use to print take-home mementos, a one-of-a-kind scale model of a Fourdrinier papermaking machine, and mosaics saved from the now-demolished Bethlehem Steel Printery. Peter Maier has had a very interesting and unique career. 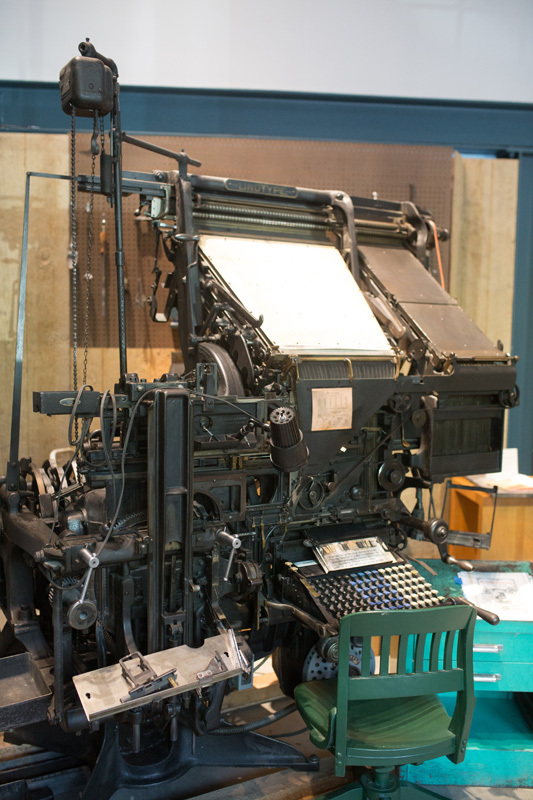 A graduate of Pratt Institute, Maier was first involved in Fine Art in his freshman year as assistant to sculptor Robert Mallary for a work commissioned by architect Phillip Johnson for the New York State Pavilion at the 1964 New York World’s Fair — as well as being involved in Industrial Design. 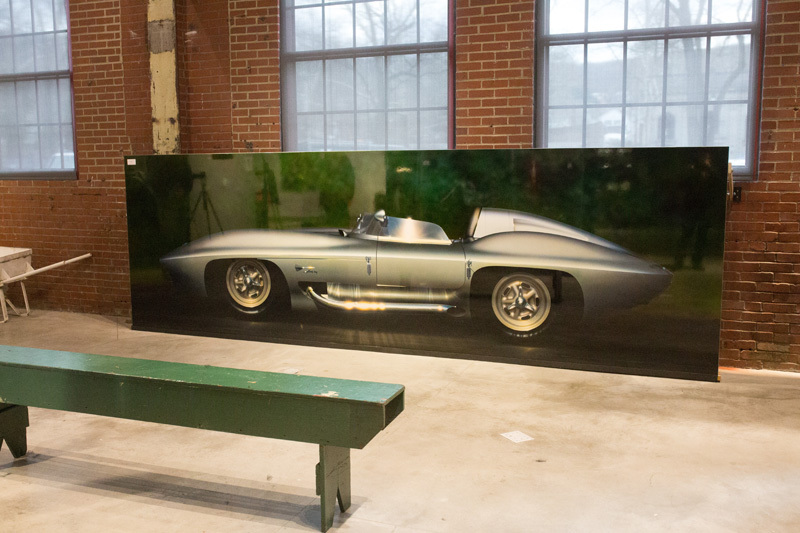 Maier went on to enjoy a distinguished career as an Automobile Designer. Being one of the youngest ever to be hired by GM, Maier rose in the ranks to become Senior Designer for Cadillac, Pontiac and Chevrolet Motor Divisions, thereby becoming part of an elite group. 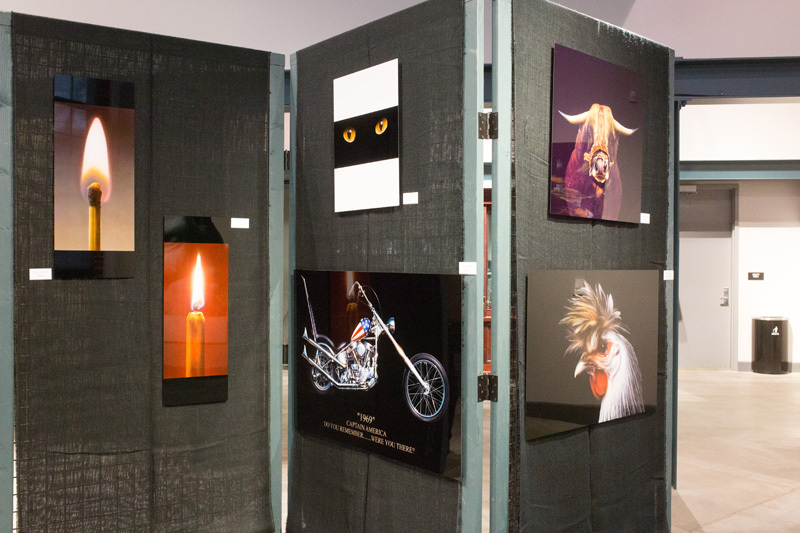 Maier left the security of his position at GM in 1980—and although approached by other major automotive firms—embarked on a journey to pursue his passion as a Fine Artist on his own. 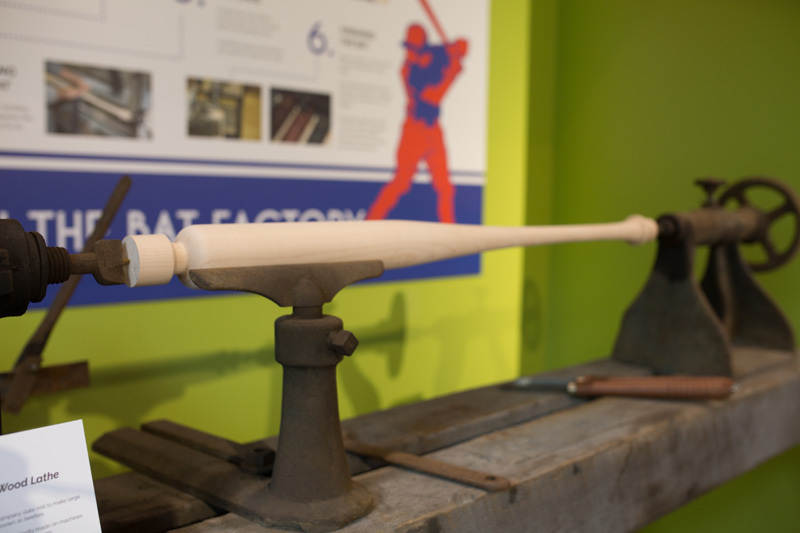 America’s love of Major League Baseball has been a constant since its birth 146 years ago. 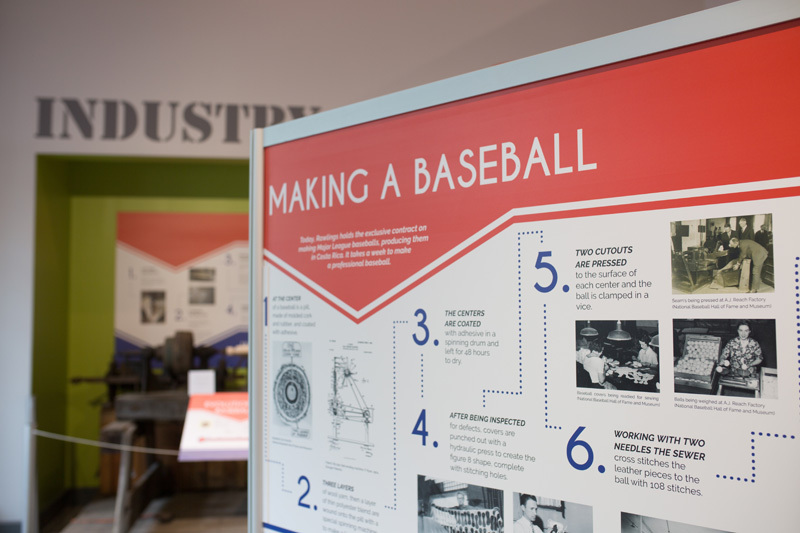 NMIH’s exhibit, Making America’s Pastime, explored how the balls, bats, gloves, and uniforms of the MLB are made and how the MLB became a $9.5 billion industry. 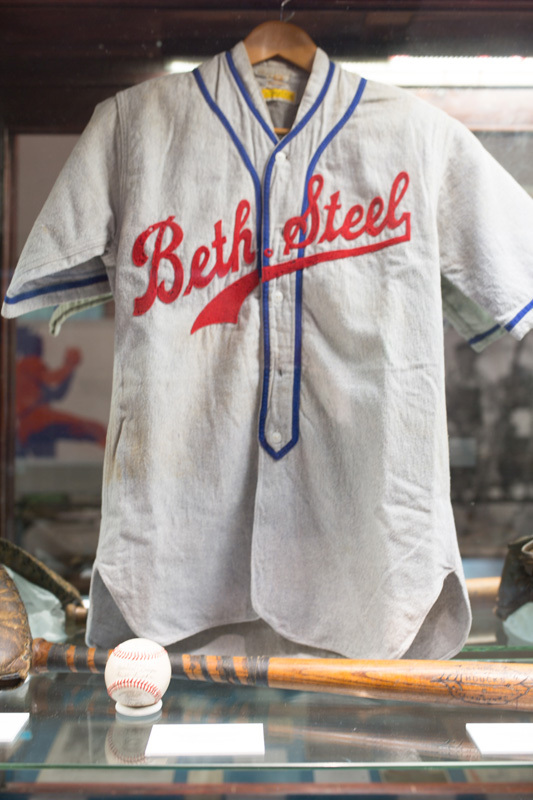 In addition to seeing how baseball’s bats, balls, and gloves evolved over time, patrons learned about Bethlehem Steel’s impact on Major League Baseball and how the company’s wartime league wooed the likes of Babe Ruth and “Shoeless” Joe Jackson.